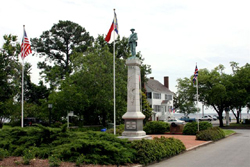 When you embark on the Historic Albemarle Tour, which winds through 27 sites and 17 Northeast North Carolina counties, you encounter chapters from a history book that teach volumes about the present. And the tale of this ancient region is the story of America. It’s a story of growth and change . . . of wilderness walks and uncharted horizons . . . a multi-dimensional microcosm of the American experience that enhances a sense of place. It illuminates who we are, where we came from and where we’re going. We invite you to become a ‘Friend or Patron’ of the Historic Albemarle Tour! By becoming a Historic Albemarle Tour Patron, you help us promote travel and education in our region. From corporate patrons to our affordable Friends of HAT for individuals, your patronage goes a long way towards helping us preserve our past and educate our future. We have many levels of patronage, from the affordable Friends of HAT to our Platinum category. And each level offers some spectacular benefits. Yes, I would like to help tell our story. Please accept my Patron membership for the Historic Albemarle Tour!